Today’s businesses need similar or better technologies in place than their competitors to not only compete but to succeed. At All Business Technologies we have IT Services and Solutions that can be put in place to help take your business to the next level. Our Digital Marketing offerings will grow your online presence by giving your business the exposure it deserves to become an online authority. Each company will get a custom plan geared towards growing your revenues and taking your business to the top. Having a capable phone system is essential for a growing business. Fully-featured VoIP solutions from All Business Technologies can offer your business cost-benefits since it utilizes your Internet connection for all of your organization’s communication needs. To Compete in today’s market, you need a great website. Your company’s website acts as the online face of your brand. It a lot of cases it will be the first thing your potential client will see. A website’s appearance can either help increase its traffic or drive it away. All Business Technologies has been serving the Boston area since 2003, providing Digital Marketing and Business IT Services and Solutions to small and medium-sized businesses. It’s always been our goal to provide enterprise-level IT practices and solutions to the small business sector, with small business prices. Our experience has allowed us to build and develop the infrastructure needed to keep our prices affordable and our clients up, running, and profitable. Time and experience have helped us develop best practices and workflow procedures around a proactive philosophy designed to keep your focus on your business, not your technology. We partner with many types of businesses in the area and strive to eliminate IT issues before they cause expensive downtime, so you can continue to drive your business forward. Our dedicated staff loves seeing our clients succeed. Your success is our success, and as you grow, we grow. I recently linked up with Dave. He does awesome work, has to be the most honest guy I have worked with. He supplied us with new computers, that are lightning fast and set up everything perfectly. Highly recommend Dave and his services. Dave has provided IT service for our office for a number of years. He is very knowledgeable in all areas regarding our office network. He is always available when needed to answer questions, troubleshoot system issues, install new hardware and software, and keep us up to date on any advances in technology that would make our office run smoother. We appreciate Dave’s patience and level of professionalism. Daniel F. Cosgrove, EAPresident, Riverbank, Inc.
Running a small CPA practice, I was finding it difficult to find a reliable IT person who would be responsive. Dave and his business came highly recommended and he has filled all of our needs, no matter how small, in a timely and professional manner. I highly recommend All Business Technologies. I feel very fortunate to have come across All Business Technologies and their services. They have transformed my business and helped take it to the next level by generating more leads. I highly recommend All Business Technologies if you are looking to increase your sales revenue dramatically. It's very rare to come across a talent like Dave. The one thing I have come to know best about Dave is that he is amazing at what he does and can help take any business to the top. His mindset, knowledge, and business processes will be a complete game changer for any business that is looking to dominate their industry. Choosing All Business Technologies was definitely the right move for our company, and we highly recommend their services. Dave’s knowledge of SEO is outstanding. He continues to find innovative ways to help better serve his clients. I highly recommend his services for any business that wants real sustainable results on Google. If you have the opportunity to work with Dave, take it! His mindset, knowledge, and business processes will be a complete game changer for any business who is looking to dominate their industry and decides to work with him. Dave is the best at what he does. He has the amazing ability to take any business to where they want to be online with his SEO knowledge and expertise. If you're looking to improve your web presence, drive more traffic to your website, and increase your revenue, I highly recommend Dave. ABT is fantastic. I have worked with them in multiple capacities, from data backup to IT support to hardware knowledge base. They are responsive, fast, seemingly always available, and never rest until they get the right answer. Besides simple determination and work-ethic, the Team at ABT is also among the most knowledgeable I have ever seen. They are always willing to do what it takes, and also do their best to keep costs down so that you are able to rest at night knowing you got what you needed without paying too much. ABT, you are THE BEST! All Business Technologies is the best IT company I've ever dealt with. As my business has grown, they have helped grow with me providing the necessary solutions to navigate our more complicated infrastructure. They have suggested, implemented and managed our VOIP systems, internet and server systems, email system, and software needs. Their response to emergencies is unparalleled and I would highly recommend them (and do) to small and large businesses alike. All Business Technologies has been so extremely helpful in streamlining the way things are run at our office. We have noticed such an improvement from our last IT provider since switching to ABT. Downtime has literally become a thing of the past. The piece of mind that comes along with a trustworthy IT company is priceless. I truly cannot say enough good things about this company. They have earned a customer for life! Dave and his staff have bailed me out more times than I can count. They are knowledgeable with all IT issues and have made my business run smoother and streamlined our paperwork and management process. I recommend him for all of your business technological needs. Came to bat for my small business when we received a “lemon” printer from a big box company. Owning a restaurant, Dave makes himself available at different/off hours while keeping a steady line of communication. If he doesn’t pick up your call, it’s only because he is with another client. Highly recommend for any situation. Dave McNaught of All Business Technologies has worked with my small CPA firm for many years. He has always been knowledgeable, professional and responsive, and has made excellent recommendations suited to the needs of my very small business. I am pleased to highly recommend this company. Dave is the most honest and loyal guy I know. He will tell you if it is a job he can't handle (which doesn’t happen often) instead of trying to figure it out and charge you at the same time. He also is an expert at his craft and takes the time to explain exactly what you're looking at and why certain products or programs would work better or if you have what you need. If you are looking for a high Integrity, loyal guy that knows his stuff call Dave for all your business technology needs. You can count on All Business Technologies. That pretty much says it all – anytime and for everything IT and for that I am grateful. Downtime is the death of small business and having Dave on speed dial has made my life easier and he is such a nice guy, that makes it even better. Gone are the days that I pack up my computer and drop it off and wait for it to be fixed. Dave is the man! Dave, You are the most amazing conscientious hard working guy that I have ever met. Thanks for persevering and finding the problem. Thanks so much. As always, we will keep our eyes open for more opportunities for you. All Business Technologies has been an incredible asset to our company since 2010. All of our IT issues are handled quickly and efficiently. I have asked Dave’s opinion on many occasions with regard to computer upgrades and office efficiency and he always comes up with a great solution, always keeping in mind the size of our business, potential grows and cost to the company. I highly recommend his IT service. Ivy WhiteDirector of Operation, Lighthouse Electrical Contracting, Inc.
David is very accountable and takes the role very seriously and is always at the ready to solve any problem that may arise. Thinks beyond the immediate problem toward true long terms solutions. A pleasure to work with.and has solved problems my former IT support seemed unable to correct. All Business Technologies has been the information technology backbone of our cloud accounting business. We would not be able to operate in the cloud without them. ABT has a very quick response system put in place for when we or our clients have the occasional IT issue or question. Their knowledge in the industry is some of the best I have seen, and I would highly recommend Their managed IT services. Dave‘s desire to serve the client is clear as he consistently offers a fresh perspective and creative approach to all our projects. I have come to expect that any question will be answered with direct and reliable information. Carmen RussoDirector of Operations, Gonzalez and Associates, P.C. I learned of ABT through the experience of a serious crash and loss of my main server. I wish I had hired him to do my maintenance before that terrible day. But David came in, spent hours on end and rebuilt my server. Then, so this would never happen again, I agreed to everything he was suggesting and as a result, I and or the 85+ clients that tie into the server, have not had a single day without the use of my Server. It has been 3 years. Thank you David !! I have been working with Dave McNaught of ABT for over 3 years. He is highly skilled in his craft and cannot only solve your immediate problems quickly and efficiently but will also show you ways to improve your company going forward. He has been extremely helpful in making sure I am always running my IT. Bottom-line, I can focus in on making money and not have to worry about how my computer systems are working. Most importantly, as with any business relationship, Dave always has his client’s best interests in mind. I would highly recommend his services. All Business Technologies has been a great asset to our business. 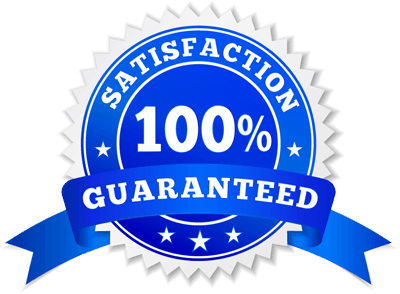 They have handled our PC's, Security Cameras, and most recently we ran a 3-day Facebook ad which has converted over $1500.00 recurring monthly on just over $20 Facebook ad spent. I’m completely blown away and we highly recommend if you have the opportunity to work with them that you do. Are You Interested In a Better Way To Manage Your IT? 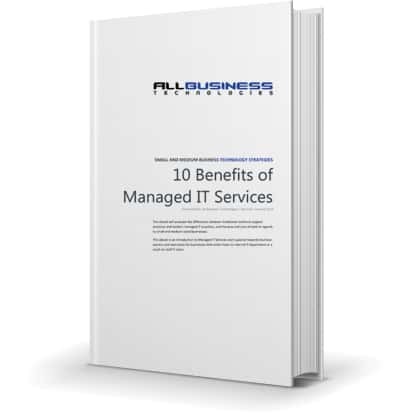 Download our Ebook about How Our Managed IT Services Can Enhance Your Business. Does Your Website Really Have The Online Visibility It Deserves? Grade your website. Make it better. Beat your competition. Find out how your website stacks up. Fill out our quick SEO audit to provide you with an overview of the top issues that are helping or hurting your site’s performance. This will provide you with a free comprehensive report that will arm yourself with the knowledge you need to get the results you’re looking for. Get A Free Website SEO Report! All Business Technologies has been providing Digital Marketing Services and Business IT Solutions to businesses in and around the Boston area since 2003. We love what we do and we are very proud to be a part of successful businesses.